Cogged belts are suitable for all industrial applications, particularly where small or sub-minimal sheave diameters are required. 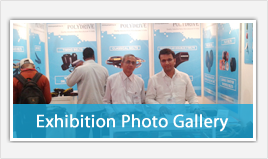 We are one of the leading Cogged Belt Manufacturers & Supplier in Mumbai, India. Our main aim is to offer products of best quality so that customers can achieve optimum production, efficiency, minimum operating cost. Tooth Notches of cogged belts are constructed onto the belt during manufacturing, make this cogged belts well suited for drives with smaller diameter sheaves. 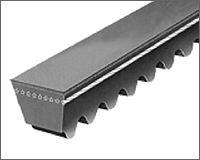 Belt Edge is machined for even sheave groove contact resulting in less slip and wear. Flexible Cords are strongly bonded to the body of the cogged belt resulting in equal load distribution and the absorption of bending stress without cord deterioration.